Sometimes simple is best! 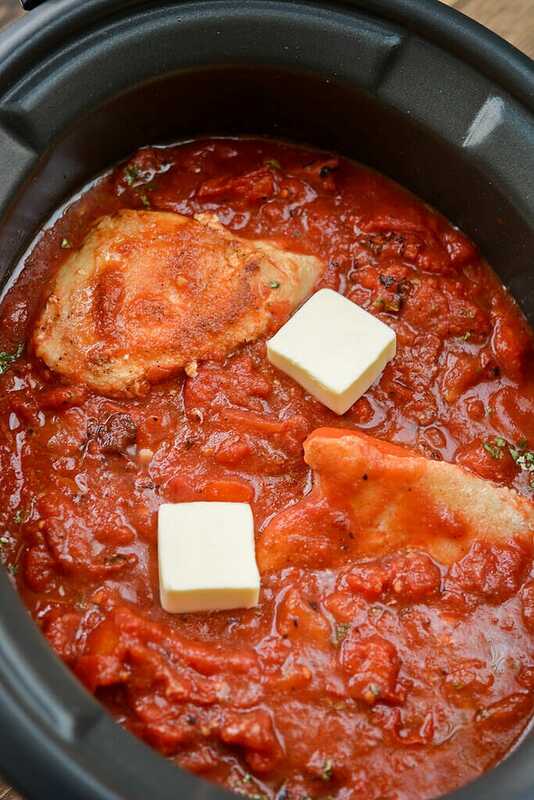 This Slow Cooker Chicken in Tomato Sauce uses simple ingredients yet delivers maximum flavors! So I’ve made this recipe about 6 times over the last couple of months (rare in my world since I’m always looking for new recipe ideas to try) and the reason I’ve made it so often is, well, for more than just one reason. A. It’s SO good B. It’s pretty healthy C. I keep forgetting to write it down so that I can share it with you. No worries, I finally got it this time and it was well worth the extra trips to the grocery store and the time spent trying to remember just the right ingredients. If your household is anything like mine, a staple meal when there’s little time and everyone is fussy is just to heat up some spaghetti sauce while cooking some pasta and maybe throwing in some pre-made meatballs. But what if you could have this version minus the stress? Put it in the slow cooker to start the day and by the time you get home and don’t feel like hassling with one more thing, dinner is pretty well done. 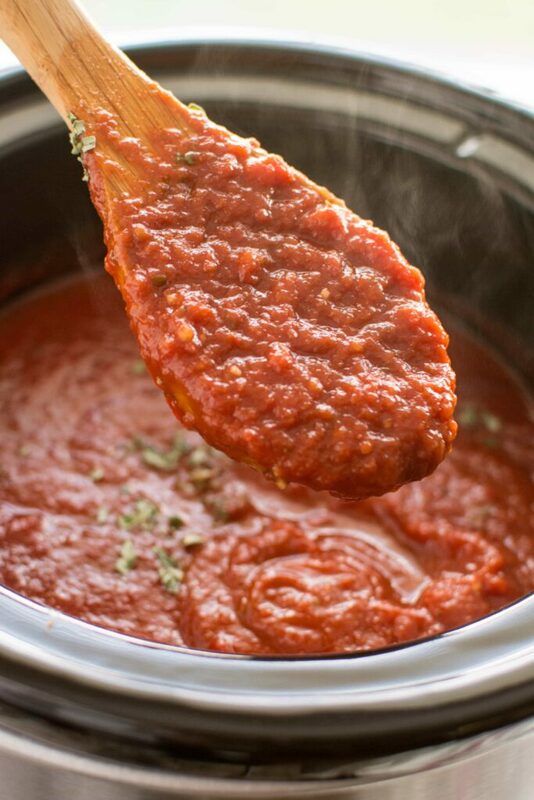 Then just toss them on top of the chicken and sauce in your slow cooker for the last few minutes and let them soften a bit an that’s it! Dinner is done! 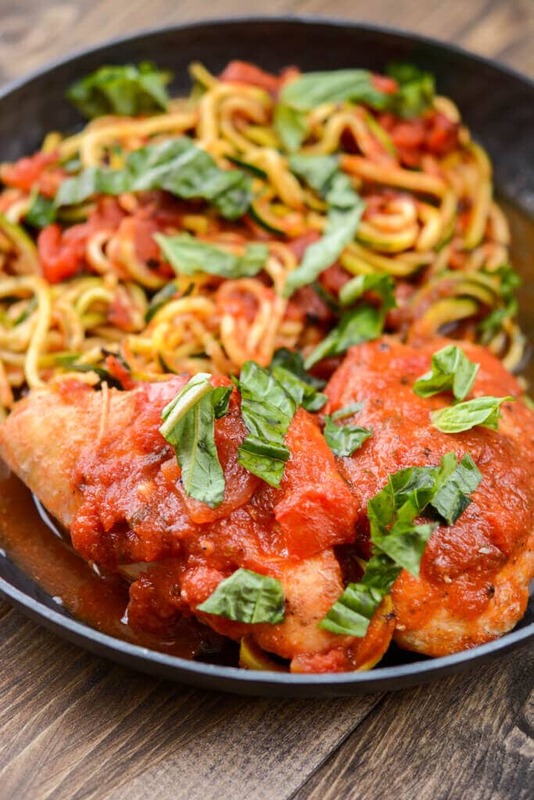 Serve it up with a little bread if you need to appease any carb loving folks and have a dinner that beats out your typical spaghetti dinner, hands down. 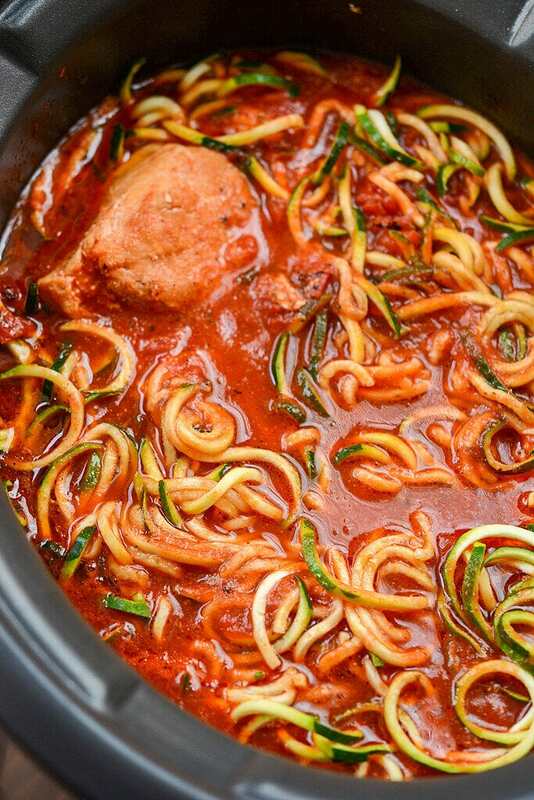 Here is the spiralizer I use. 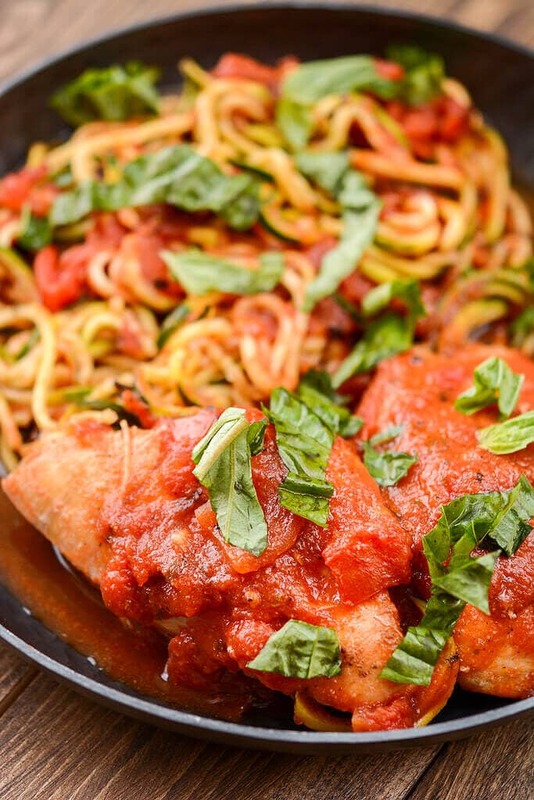 You could also serve with pasta or with sliced sautéed zucchini. If the sauce is too acidic for your liking, you can stir in a couple of tablespoons of cream or milk. 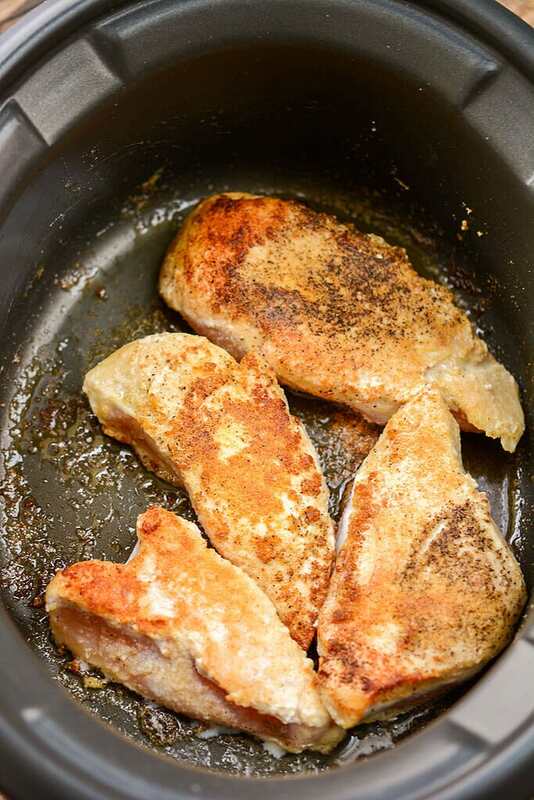 I've made this with and without the addition of the Italian seasoning and like both versions, but possibly prefer the one without because I LOVE tomato flavors. 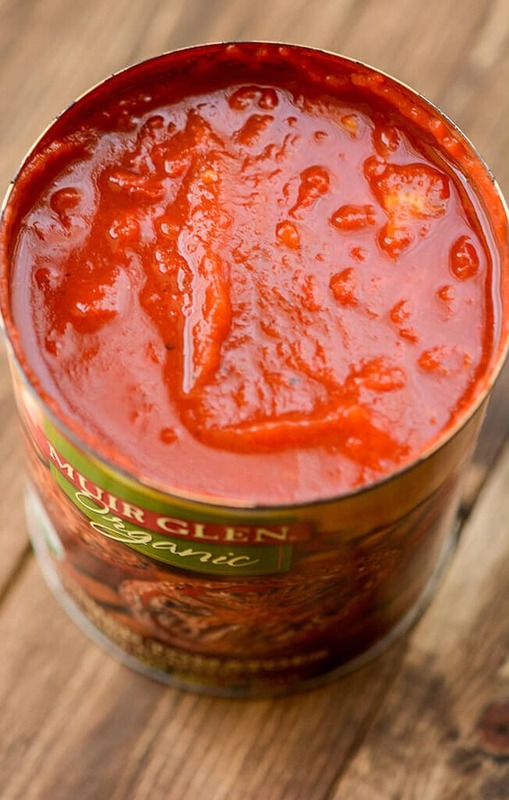 If you like this recipe, maybe you’d like to make your own marinara sauce in the slow cooker? 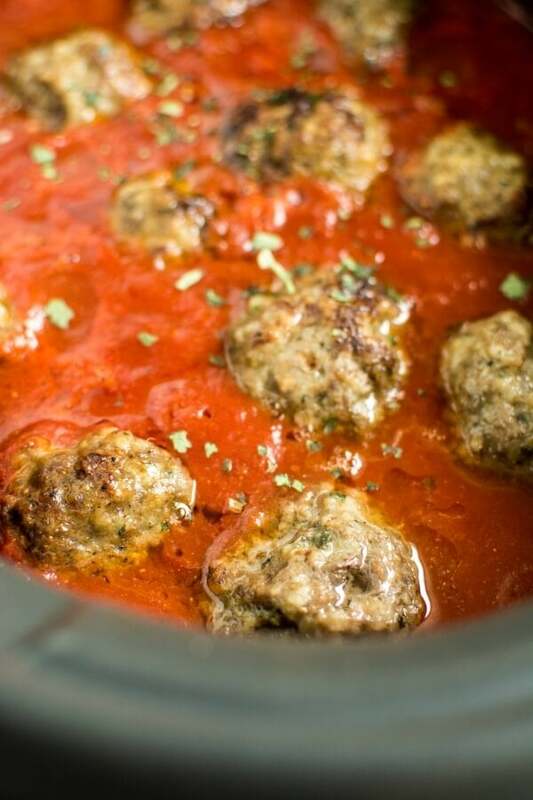 Or, maybe you would would love some meatballs! 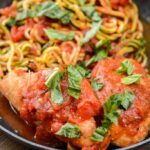 Do you add the pasta in the crockpot/slow cooker or serve chicken and sauce over pasta cooked separately?